Disassembling an iPad Pro isn’t for the faint of heart. Apple’s latest tablet isn’t easy to take apart, even for experts. A video teardown by iFixit documents the difficulties that come from 12.9-inch iPad Pro components held in with tiny screws and glue. Lots of glue. Still, the hard work revealed some interesting details about the new computer, including the size of its battery. The battery is glued in two different ways. The logic board needed isopropyl alcohol to be removed. And, of course, the display is glued in. Battery size is one of the specifications Apple doesn’t announce about iOS devices. 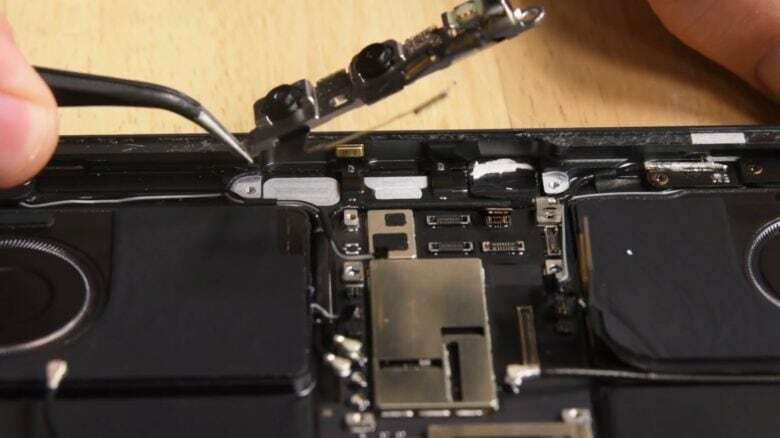 iFixit had to dissemble the largest of the 2018 iPads to discover that it has a 9720 mAh battery. This is smaller than the 10875 mAh one in last year’s 12.9-inch model. Not a surprise, given that Apple shrank the overall footprint of the 2018 tablet, even if it didn’t decrease the screen size. And the change doesn’t automatically mean that this iPad has a shorter battery life than its predecessor. The Apple 12X Bionic processor uses significantly less power than the A10 Fusion chip in the older device despite offering much faster performance. This latest tablet has two battery packs, each on either side of a logic board running down the center of the device. iFixit found some features of the new tablet to compliment. “The USB-C port is modular and can be independently replaced.” As people will be frequently plugging and unplugging cables, this port is a potential failure point, so relatively easy replacement is a plus. Apple didn’t put a Home button in the 2018 iPad Pro. This frequently-used button wore out — or was sometimes smashed — in previous units, but not this one. Don’t miss the teardown of the first 11-inch iPad Pro from this same repair company.